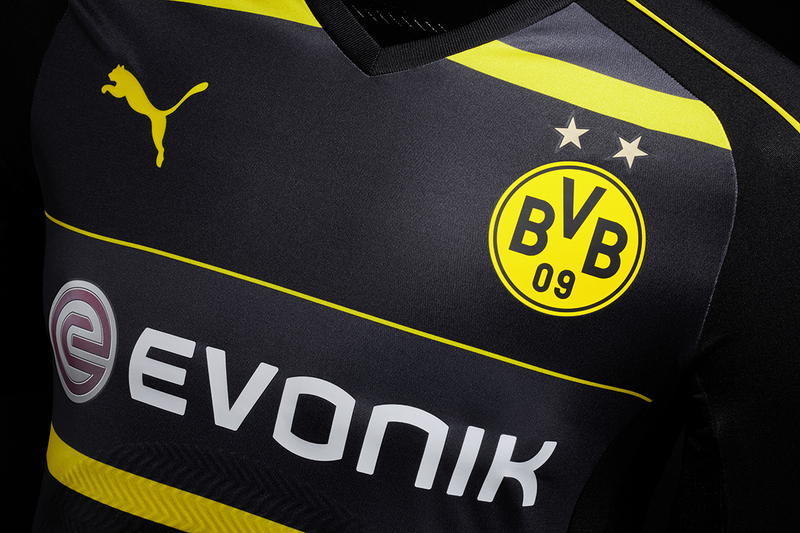 PUMA today revealed the new Borussia Dortmund away kit for the 2016/17 season. The modern jersey features a horizontal three-colour block design in the club colours of black and yellow and also dark gray. 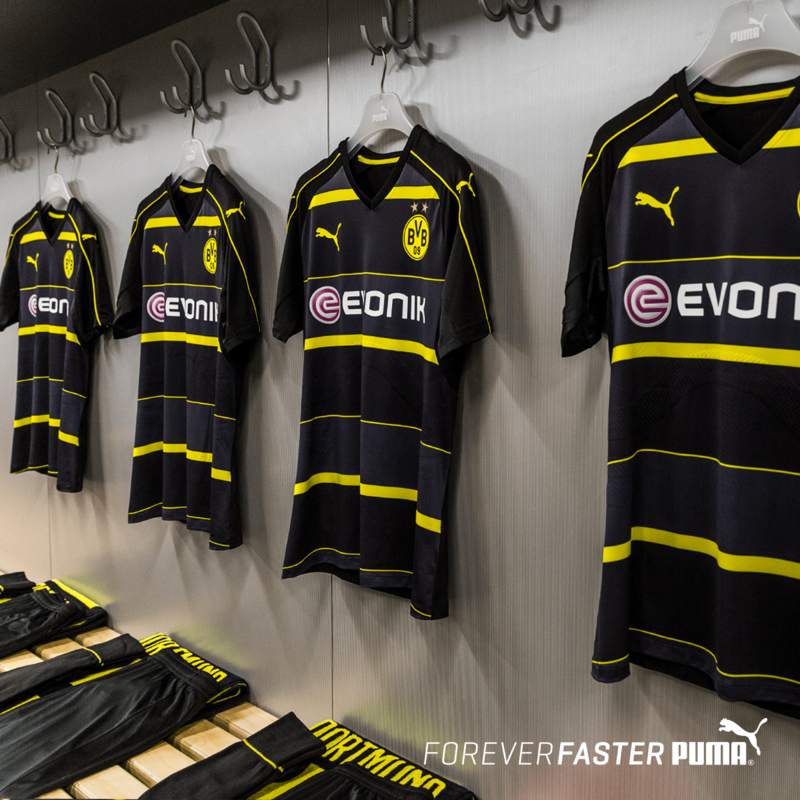 PUMA’s iconic Formstrip on the sleeves is accented by yellow piping and a classic V-neck rounds off the design. 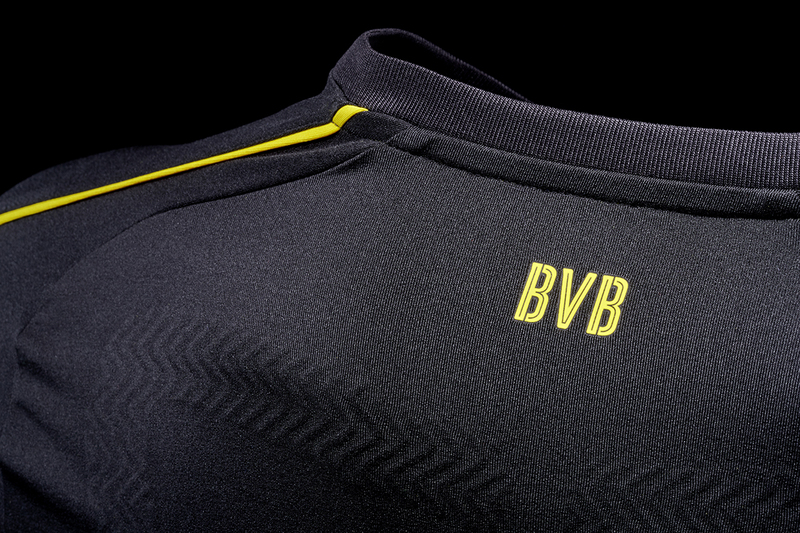 Borussia Dortmund’s club emblem features on the left side of the chest as an embroidered badge and the PUMA Cat logo is embroidered in yellow on the right. 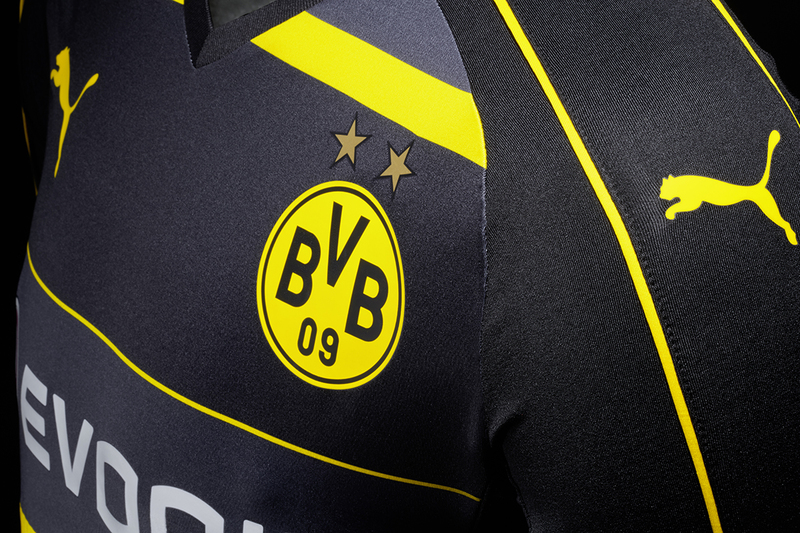 The jersey sponsor is displayed on the front and the traditional DORTMUND lettering is emblazoned on the rear of the shirt. Design meets functionality in the new away jersey. The high-grade polyester material ensures comfort during the game. It features PUMA dryCELL technology to wick moisture from the skin and keep the player dry, combined with the mesh inserts on each side for maxiumum breathability. 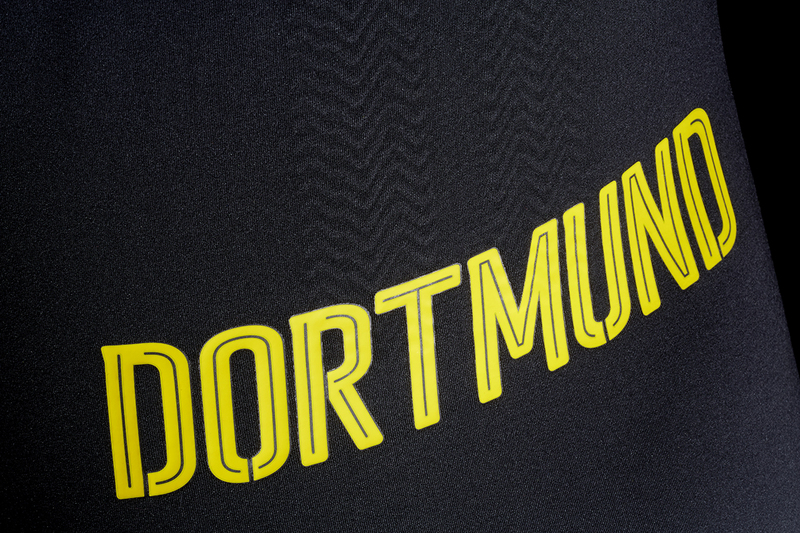 The away replica jersey will be available to purchase from the 1 July at www.puma.com, PUMA stores, BVB club shops and in sporting goods retailers.